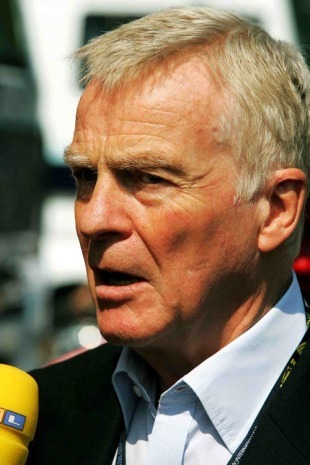 Former FIA president Max Mosley has criticised the decision to reschedule the Bahrain Grand Prix, warning it could turn out to be a mistake which will haunt the sport. Writing in the Daily Telegraph, Mosley said that sport could not only operate in countries without any human rights or political issues, but explained that Bahrain was different because the race was being used by the authorities to legitimise the regime. "We will be told that holding the Grand Prix in October will show that, once again, Bahrain is a happy, peaceful country. So why is it wrong for Formula One to go along with this? Why is this different to running an event in any number of countries where people are oppressed, kept in poverty, held without trial and mistreated (or worse) in prison? Surely the line has to be drawn when a sporting event is not mere entertainment in a less-than-perfect country, but is being used by an oppressive regime to camouflage its actions. 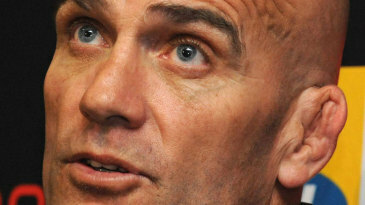 "If a sport accepts this role, it becomes a tool of government. If Formula One allows itself to be used in this way in Bahrain, it will share the regime's guilt as surely as if it went out and helped brutalise unarmed protesters." Mosley said that initially peaceful protests "were soon met with brutal repression … demonstrators were shot dead, protesters were imprisoned and, according to credible reports, hideously mistreated, even tortured and killed. "Doctors and nurses who treated the injured were themselves arrested and imprisoned. When these measures failed to crush the protests, the Bahrain government called in troops from neighbouring Saudi Arabia to crush all opposition with naked force. "Having carried out these horrific acts, the Bahrain government wants to clean up its image. That's where the Grand Prix comes in. By running the race they hope to show the world the troubles were just a small, temporary difficulty and everything is now back to normal. "By agreeing to race there, Formula One becomes complicit in what has happened. It becomes one of the Bahrain government's instruments of repression. The decision to hold the race is a mistake which will not be forgotten and, if not reversed, will eventually cost Formula One dear."